The Kings are moving on from coach Dave Joerger, The team announced Thursday it has fired its third-year coach on the heels of his best season in Sacramento. 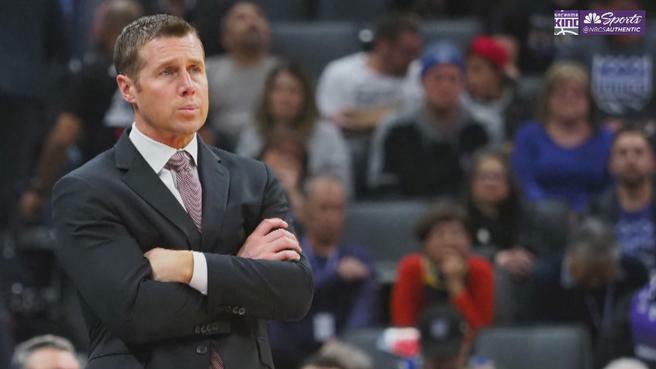 Joerger, who had one year and approximately $5 million remaining on his contract, led the Kings to a 39-43 record during the 2018-19 season — a 12-win improvement from the year before. Sacramento missed the playoffs for the third straight season under Joerger, going 98-148 (.398) overall during his tenure. “After evaluating the season, I determined that we need to move in a different direction in order to take us to the next level,” Kings general manager Vlade Divac said in a release. “On behalf of the entire Kings organization, I want to thank Dave for his contributions to our team and I wish him all the best.” The news comes after Divac agreed to a four-year extension with Sacramento to keep him through the 2022-23 season. ESPN reported “Divac is pushing to consolidate his power as Kings top basketball executive” and will hold a meeting Thursday to fire Joerger.